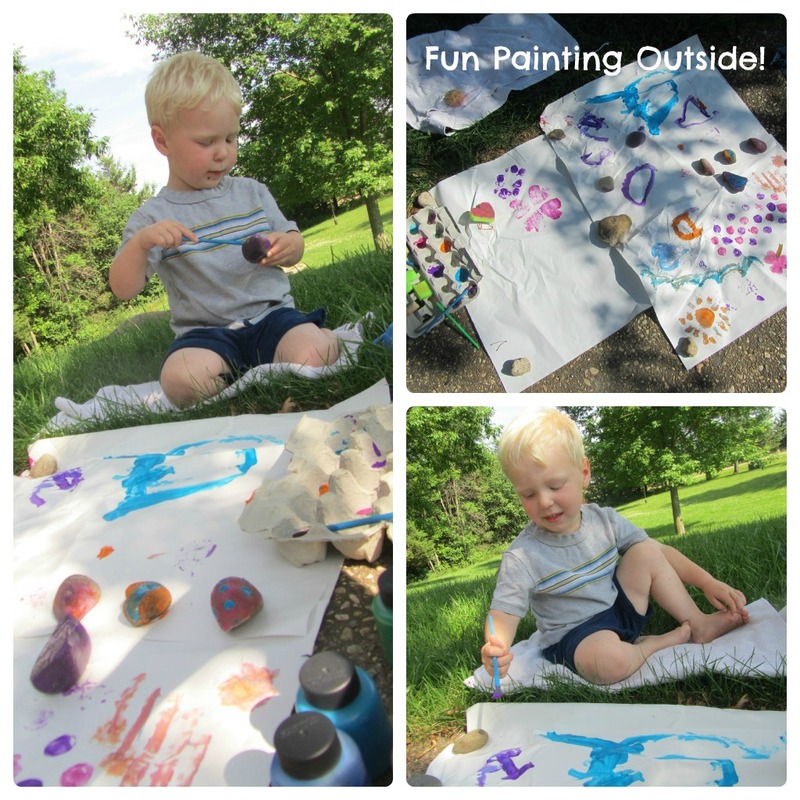 I realized we hadn't done many crafts recently -- instead we've been spending most of our afternoons outside in the sunshine. Of course some days we did get out our sidewalk chalk but for the most part I was saving crafts for a rainy day. 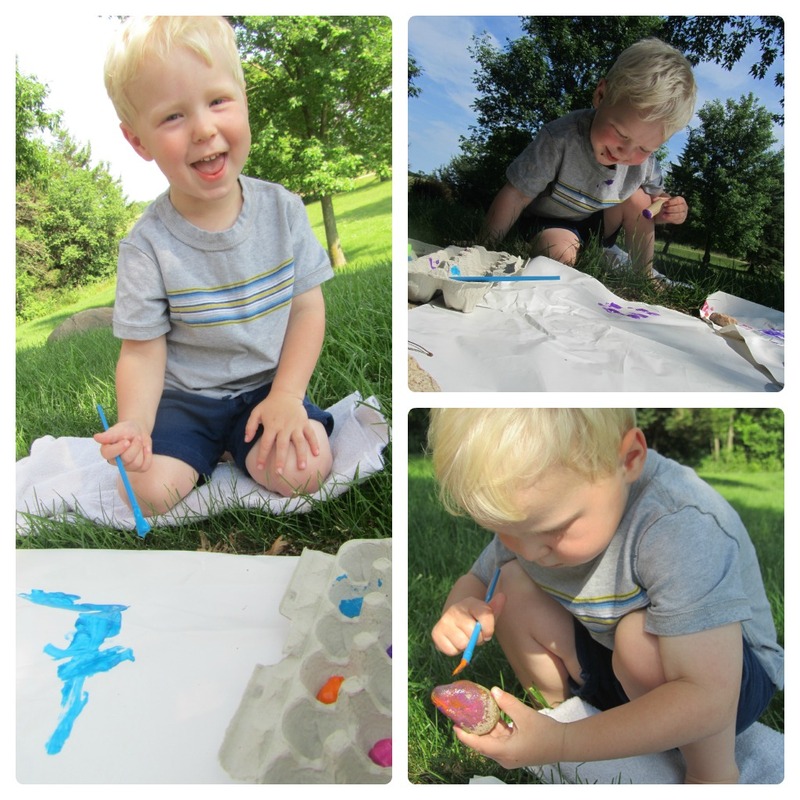 Today I decided to bring our "messy paints" as my son calls them outside so we could paint in the front yard. (Thankfully I remembered to put the dog inside during this project!) First the large sheets of paper were painted (with brushes, sponges, and corks) and eventually even the rocks that we were using to keep the paper from blowing away. That looks like a fun idea!